Learn what new requirements 3.2 is implementing into the standard. As you may know, PCI DSS version 3.2 has been released and version 3.1 will expire on October 31, 2016. All new requirements are best practices until February 1, 2018. So what do these changes mean for businesses? Here is a list of the changes PCI DSS 3.2 has made to the standard. In December 2015, the migration dates for businesses to move from SSL and early TLS to the latest TLS were moved back from June 2016 to June 2018. The PCI Council wanted to reflect that date change in the latest version of PCI DSS. Many businesses plan to stick with the old date to avoid dealing with the extra exposure. Having SSL encryption is very risky to security since it has many exploitable vulnerabilities. So even though the deadline has been extended, it’s a good idea to make those changes as soon as possible. Before 3.2, multi-factor authentication was only required for remote access to the network. Now, even if your connection is within the CDE, multi-factor authentication is required. PCI DSS 3.2 incorporates some extra validation procedures in the Appendix. In addition to full PCI DSS validation, designated entities determined by Acquirers or Payment Brands should have some additional validation that shows whether a business’s day-to-day practices are reflective of their compliance. The additional validation procedures are for designated entities to make sure they’re PCI compliant on a day-to-day basis, instead of just an annual basis. For example, you could look at a list of all the change controls in a merchant’s environment for the past year. These procedures could include anything that shows the day-to-day compliance. PCI DSS 3.2 clarifies masking criteria for primary account numbers (PAN) when displayed. Masking hides information from view; this is not the same as encryption. When displaying a credit card number or bank identification number (BIN), you can display, at the most, the first 6 and last 4 numbers. If you go beyond these requirements, you’re not compliant. Whether or not you should display less PAN numbers could depend on various legal requirements. Another related note worthy item, if your business stores PAN, you’re also required to encrypt and properly secure it. PCI DSS 3.2 explains you need to have a change management process to make sure all new or changed systems are PCI compliant on completion of a significant change. You should document these updates too. PCI DSS 3.2 explains that the responsibility that a service provider has for the security of cardholder data depends on the service and the agreement between the provider and the entity. You need to maintain a list of all PCI requirements your service provider meets and a list of requirements they need to meet. In PCI 3.1, service providers were required to have penetration tests done annually. 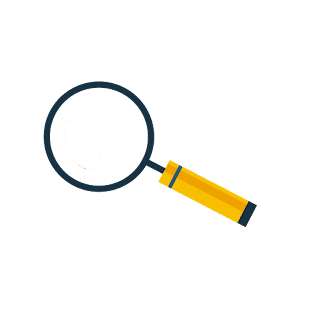 Now, service providers that use segmentation are required to perform penetration tests on segmentation controls every six months. This helps companies ensure their algorithms and encryptions aren’t getting breached and/or stolen. By documenting these keys, it helps streamline the process of encryption and prevents or detects potential thefts. You also need to document quarterly review process, such as documenting the results of the review and signing off results by personnel responsible for PCI DSS. With these new requirements, it may feel like getting PCI compliant is more difficult than ever. Here are some tips that can make getting compliant easier. Scope out your network: your scope is everything in your business environment that handles cardholder data. By reducing your scope, you can reduce the amount of elements that need to be PCI compliant. Hire a PCI consultant: PCI QSAs and experts know a lot about helping businesses get compliant as soon as possible. Establish data security best practices: by doing basic things like implementing physical security and having firewalls, you can streamline the PCI compliance process. Create a PCI compliance team: PCI compliance shouldn’t be a one-man job. Set aside a team that handles the PCI DSS. Do regular PCI employee training: your employees need to live and breathe PCI. Train them quarterly if not monthly on PCI requirements and data security. Remember, the PCI DSS is not your enemy: it’s a standard that helps you protect your company from data breaches. PCI DSS 3.2 helps you add additional security to your business to protect your data from hackers. 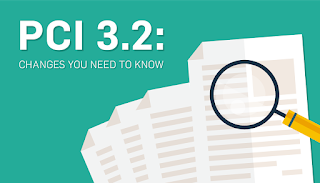 Read more about 3.2 from our 2016 SecurityMetrics Guide to PCI DSS Compliance!